This is the first potato meal I learned when I came here in Sweden. A friend of mine showed me how to cook this potato gratin. It’s simple and delicious and it goes well with any kinds of steak. 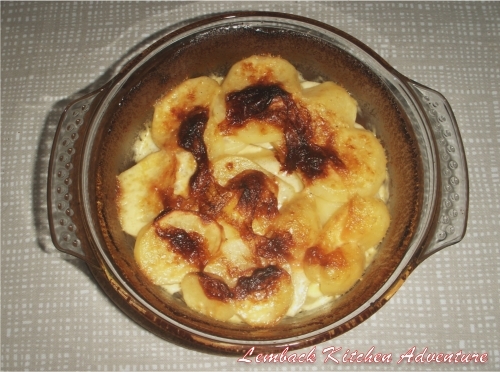 My husband loves it and he would request for this gratin on our Sunday dinner. I prepare the potato gratin and he prepares the meat. That’s what we usually do in our kitchen. Bake in 225°C for 40-45 minutes. Serve with steaked veal cutlets or pepper-steaked veal. Don’t forget some green salad.